Const. James Douglas MacLeod, a B.C. Mountie who was charged with sexual assault, is fighting a decision to kick him off the force after he had been suspended with pay for nearly seven years. A B.C. 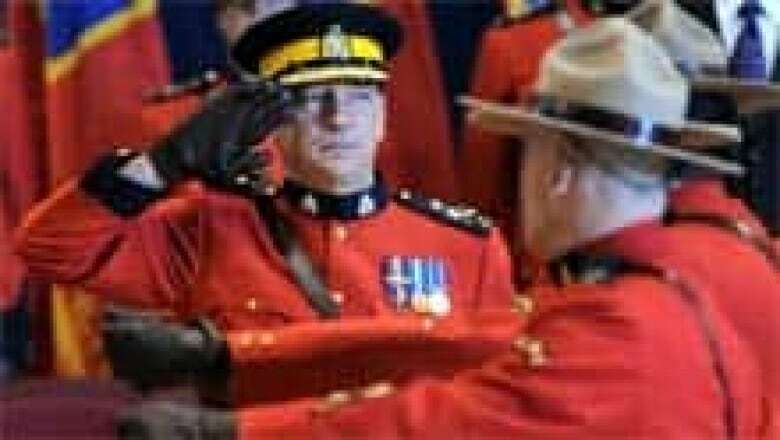 Mountie who was accused of sexual assault is fighting a decision to kick him out of the RCMP after he had been suspended with pay for nearly seven years. Const. James Douglas MacLeod resigned from the force at the end of August when RCMP Commissioner Bob Paulson rejected his appeal of a code of conduct decision, ordering Macleod to either quit or be dismissed. Now, MacLeod has filed an application in Federal Court for a judicial review of the decision. Critics say the case highlights problems with the RCMP's internal disciplinary procedure, which, in MacLeod’s case, has cost taxpayers hundreds of thousands of dollars in salary and benefits while he sat suspended from work. "In my view, nearly seven years is an extraordinarily lengthy period. It's a ridiculous period of time," said Robert Gordon, director of Simon Fraser University's school of criminology. "I couldn't see that being tolerated in other areas of the public sector, let alone the private sector." RCMP announced charges of sexual assault against MacLeod and another man in December 2005. The allegations were the outcome of a 10-month investigation into events that allegedly took place at a Super Bowl party the previous February. At the time, RCMP refused to speak in detail about the case, but a writ of summons filed by the alleged victim and another man in B.C. Supreme Court in 2007 claimed for damages of "physical and emotional injury and emotional shock." The writ claimed MacLeod and his co-accused "committed physical and sexual assault and battery against [the woman] and assault and battery against [the man.]" MacLeod countersued the woman for what he claimed was "defamation, libel, slander and false, negligent and malicious statements made to members of the Royal Canadian Mounted Police and others." The Crown stayed the charges in October 2007, and in March 2008, both MacLeod and the complainant applied in B.C. Supreme Court to have their civil claims dismissed. The test for accusations made as part of an RCMP Code of Conduct hearing is a balance of probabilities. MacLeod was ordered to resign or be fired from the force, a decision the RCMP says Paulson upheld this July. In his Federal Court application, MacLeod claimed Paulson's decision was either based on "erroneous finding of fact" or made in a "perverse or capricious manner." The RCMP said MacLeod was suspended with pay from Dec. 9, 2005, until his resignation on Aug. 31, 2012. The commissioner has been vocal in his desire to speed up the disciplinary process to remove so-called "bad apples" from the force. Gordon said this case illustrates why. "I think Paulson has been quite frustrated by the length of time it takes to bring these cases to a conclusion," Gordon said. "The solution is to completely revamp the disciplinary process, so that you've got a better series of steps and a faster series of steps that people have to go through and in the process of designing the legislation, you put cut-off points in it." "How changes are engineered is, of course, the big challenge. And we know that there has been a process underway to get some changes introduced through Parliament in the form of amendments to the RCMP Act. One would hope that they're in a reasonably advanced stage because they've been at that for some time as well." Cpl. Gerry Hoyland, a 35-year veteran who won an apology from the RCMP in the settlement of a harassment suit earlier this year, said the RCMP uses delays in discipline as a way of getting rid of officers without actually having to fire them. "To have a member suspended with or without pay for six or seven or eight years is just unconscionable," said Hoyland, who lives in Edmonton. "You're under a cloud for a long period of time, and that's going to cause all sorts of things like depression, and stress, and anxiety and things like that. All sorts of mental health issues." Hoyland also questioned the seemingly arbitrary nature of the suspension process. He compared MacLeod's suspension with pay to the case of Const. Derrick Holdenried, a Burnaby RCMP officer suspended without pay for nearly two years after allegedly stealing $22 in change from a community policing station. Holdenried, who was diagnosed with post-traumatic stress disorder, is still awaiting his code of conduct hearing. Gordon says dealing with year-long delays would be a lot easier for an officer suspended with pay than without. "The stress and strain on the individual officer is — I would think — quite substantial," said Gordon. "Of course, if the individual knows that at the end of the day, all that's going to happen to him at worst is that he's going to be dismissed, then in all probability he's been preparing for that eventuality. And if you're in that position, you can just have a really good ride for a large number of years on the back of the process." MacLeod's lawyer said her client was not prepared to comment on the case. Your Community Blog: Will the RCMP be able to restore its reputation?